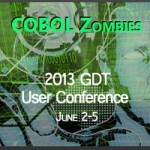 The GDT User Conference 2013 is an exciting 3-day educational and knowledge transfer gathering for the GDT and Micro Focus COBOL community. There will be sessions on new features and functions, technical tips, product roadmap and some enlightening customer case studies. In addition, there will be the opportunity to meet and share ideas with both the developers and your peers. GDT User Conference 2013 registration includes 3 nights’ hotel accommodations at the award-winning Hyatt Regency Mission Bay Spa & Marina in scenic San Diego, California, as well as group meals, breaks, events, resort fees, free high speed Wi-Fi/internet, complimentary access to resort amenities and special discounts. Surrounded by the Pacific Ocean, GDT User Conference 2013 will provide a relaxing and inspiring setting for an optimal learning experience.